A full screen type template was used for this WordPress project. 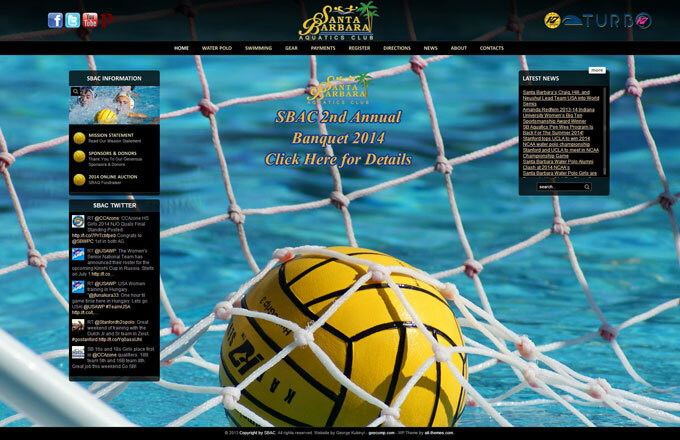 The site is very visual and its dynamic design fits well with the sport of water polo. It’s used by mainly club members for submitting online payments and also for purchasing gear items for players. It serves as great tool for posting new events and for blogging.